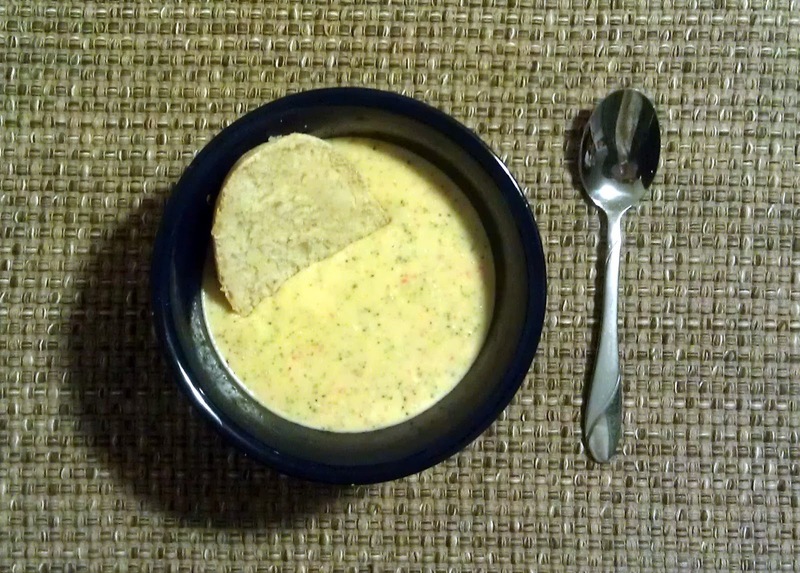 Broccoli and Cheddar soup was not a soup I enjoyed growing up. The thought of broccoli in soup did not sound good. Surprisingly I would eat it on my plate and especially covered in cheese. As I was older I learned to appreciate broccoli in soup. 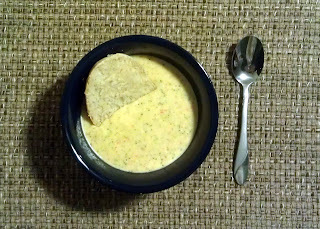 My husband did not like soup so we hardly ever had it for a meal. One day he had gone to Panera Bread for lunch and had gotten wild and tried their Broccoli and Cheddar soup. He raved about it and it turned him onto soup. This recipe will definitely be in our make once a month list. No more than that only because it's not so good for you but so good when you eat it. But there are vegetables in it! So, you could always up the vegetables then it wouldn't be so bad. I could work on making it a lighter recipe but it's delicious as a sometimes treat, and those tend to be my favorite. Indulgences help to brighten a mood and sometimes a whole day! 1. In a 3 quart saucepan melt the ¼ cup of butter. Add flour to melted butter and cook, whisking over medium heat for 3-4 minutes. 2. Slowly add half & half while continuing to whisk. Add vegetable stock, while continuing to whisk. 3. Once it starts to simmer, let simmer for 20 minutes. Stir frequently. If a skin forms on the top you can always strain the mixture through a fine sieve into a bowl then pour the mixture back into the saucepan. 4. Meanwhile, saute onion in 1 tbls. butter on medium heat until softened. 5. Add broccoli, carrots and onions to the vegetable stock mixture. 6. Cook over low heat until veggies are tender, about 15 minutes. Add salt and pepper to taste. 7. Pour in batches into blender and mix or use immersion blender. 8. Return to pot and over low heat, add cheese, stirring until well blended. Stir in the nutmeg. 9. Pour soup into bowls. Serving suggestion: Serve in hollowed out bread bowls or with slices of thick bread for dipping.